On behalf of many in the movement to reverse childhood obesity, I’d like to say thank you. You are often on the front lines of the fight against childhood obesity, working to help children and families understand the connection between food and activity choices now and healthy, productive lives in the future. You are an essential part of the support network for families and communities working on childhood obesity. Increasingly, nurses are engaged in not only treating obese children but also asking why are so many kids are becoming obese. Nurses like you are looking beyond the bedside and the patient out to the policy and environment that makes it even harder to eat well or be active. Now there is a new resource to help in these efforts: www.preventobesity.net, a hub of tools and services for leaders who are working to organize others to help the next generation live healthier. The focus of the services are to help leaders in the field “build the base” with online activity AND to foster connections among leaders so you can share, collaborate and take action together. Does this sound like something that would help you do your work in the community? Would this help you proactively keep kids healthy, and keep them from needing treatment? Join the map. Join the movement. 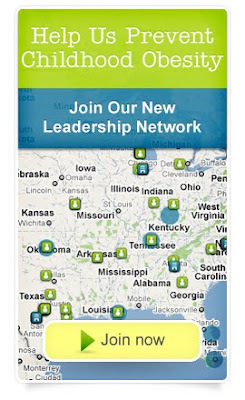 The premiere service of our site is a “Map of the Movement.” This innovative map is a visual representation of the network of leaders fighting childhood obesity, and is a great way to connect you with other leaders working on your specific issue, in your community, or across the country. A leader is someone working at any level to change policies and environments to help children and families eat well and move more, especially in communities at highest risk for obesity. If you organize others -- be it 10 to 10,000,000 -- to change polices and environments, we hope the team and the services will aid your efforts. If you’re not organizing others, we’d like to invite you to register as an Individual, to help show there is a network of activists who are concerned about child obesity nationwide. One other thing - all the services and tools -services are free, to help you do your work better. Please check out the site, register as a leader or individual, sign up to be on the map, and let us know what you think. You can reach our team at 800-399-9590 or info@preventobesity.net. We’re excited for you to join us, and can’t wait to hear what you have to say! This is a really well organized and informative blog. The National Nursing Network Organization and supporters thank Congressman Lloyd Doggett (TX-25) for his co-sponsorship of HR 4601 The National Nurse Act of 2010. Congressman Doggett is especially committed to improving access to affordable healthcare and views this to be one of his top priorities. He also strives for a longer-term correction for the payment formula used for Meidcare/Tricare physicians and wishes to see Americans access the physician of their choice. Congressman Doggett is an active member of the Seniors Task Force to ensure the needs and interests of our elderly population remain at the forefront of work in Congress. is true, should have more attention to public health because many people need medical assistance they provide in hospitals and that the reform should be improved for the welfare of millions of people in the United States who need medical attention for better health care. · Gaining their organization’s endorsement for current legislation. · Assisting with projects such as compiling data or research for the NNNO Board of Directors. · Designing artwork that can be used on the National Nurse websites. 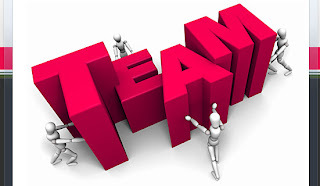 · Providing leadership and guidance to the NNNO Board of Directors. Advocacy Team members are now posted on a web page that is linked to http://nationalnurse.org and they will also be recognized in the National Nurse newsletter.